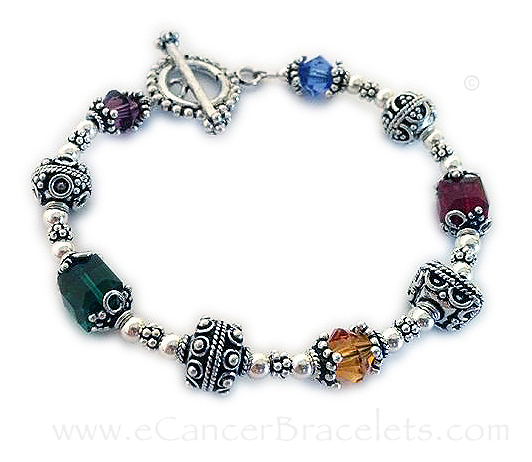 These bold and beautiful Cancer Awareness Bracelets are available in any color! 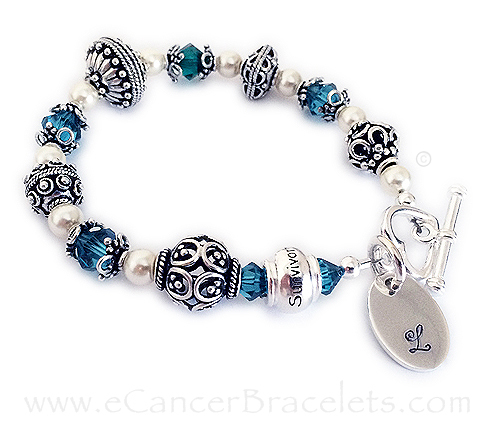 You may also add Ribbon Charms or other charms to further personalize the design to make a custom bracelet for you or your loved one in need of Courage, Hope or Support. 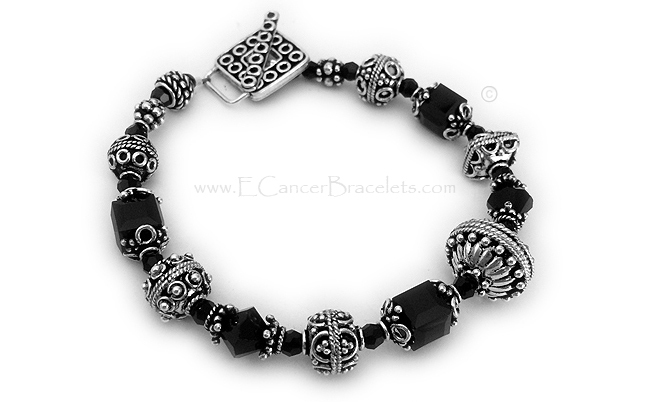 I have Survivor, Courage, Hope and In Memory beads in stock. 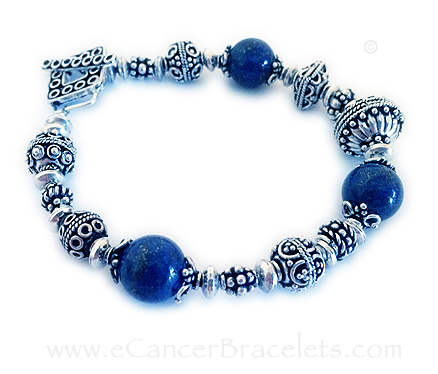 The Bali beads range in size from 4mm-16mm.